With the right branding your practice can stand out, establish relationships with patients and increase it’s value. Clean and elegant graphic design not only looks great, it conveys quality and reliability. Need a new logo or want to revamp your current design? We can help you with a personal graphic designer and a number of options to choose from that will make your practice look sharp. We understand what to ask for and how to prepare artwork for your building and any internal signage you might be after. We are partnered with one of the country’s largest signwriters and can organise practice signage wherever you are in Australia. Every practice needs a brochure about opening hours, address, doctors and services. 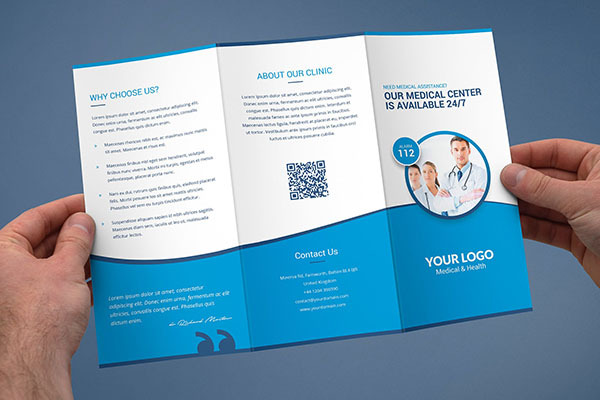 We can also create medical brochures about common conditions you can print yourself. Or we can print and deliver them to you. Different sizes for web, email, print. Good design adds simplicity and clarity to your message. 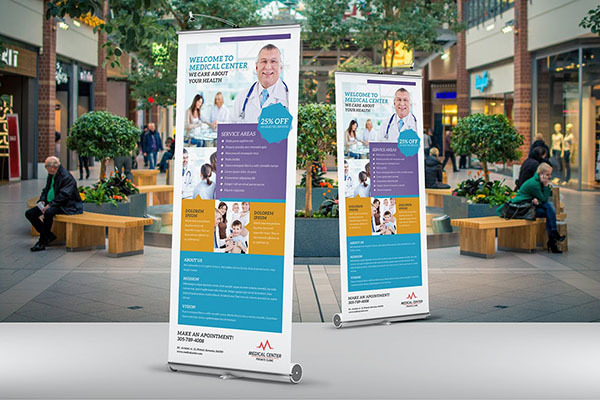 Clear signage with a consistent look and feel helps visitors and patients find you — whether that is on the street, or in the phone book — and trust you are a well-run, high quality practice. We get to heart of what makes your practice different and unique. We use your colours, symbols and icons, or simple lettering only to make your practice look attractive. Plenty of practices use fax machines, so having a clear brand identity that can reproduce well in black-and-white is essential. 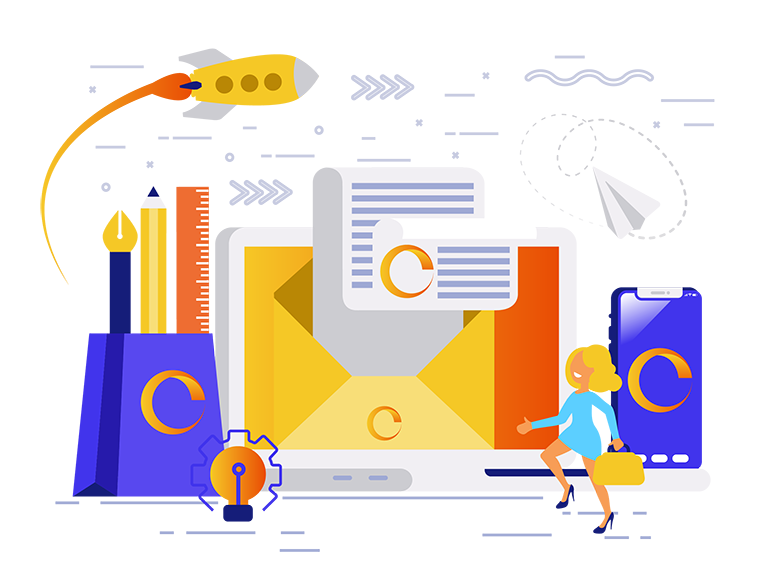 We also provide logos for use in email, websites, word-processing documents, and print quality. We’ve got you covered. Business card on one side, appointments on the back. We can design and deliver attractive, versatile business cards that look great and also help patients remember their next appointment. We can design, print and deliver 1,000 letterheads to you. Or you can choose artwork only and we will create templates for you to use on your practice computers. Use the new logo design on quality building signage wherever best suits your practice. We can set up the design, get your approval, and organise the production and installation — easy. Information you can print yourself, or we can print and deliver at a low cost. Your hours, staff, accreditation, services, address, billing, policies and any other information can be included. 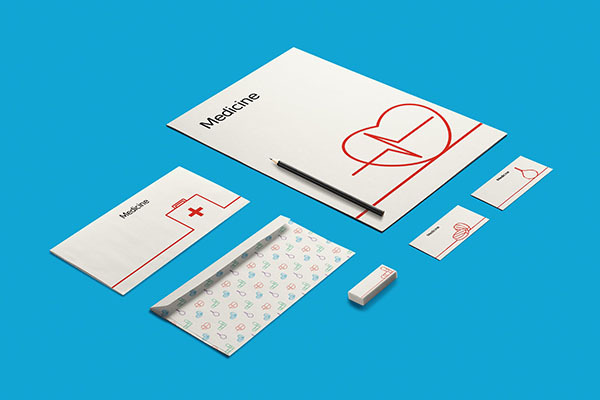 Help prevent illness, and manage patient expectations, with general medical brochures. We can supply custom-branded brochures about flu and colds, diabetes, rosacea, skin checks, vasectomy, and more. What are your preferred colours (if any)? Is there a symbol or image you would like to include that represents your practice? What is special or unique about your practice? Is there a typeface (font) you would like us to use? Look Professional & Elegant. Be Unique. "Your Health provide quality products, value for money and exceptional service. You don’t find this very often anymore!" Want to learn more about Your Health?